Artist, poet, playwright, academic and teacher Rodney Milgate died last Friday age 80. I meet Rod in 1989 when I got a job in the Student Administration Office at City Art Institute (later to become the College of Fine Arts, UNSW). At that time he was in charge of the School of Studio Arts and was one of the college leaders who took the Institute into a new partnership with the University of NSW in 1990. While working together on the administrative tasks of the college, as well as the added burden of managing the merger with the much larger institution down the road, we began to discuss art and poetry. 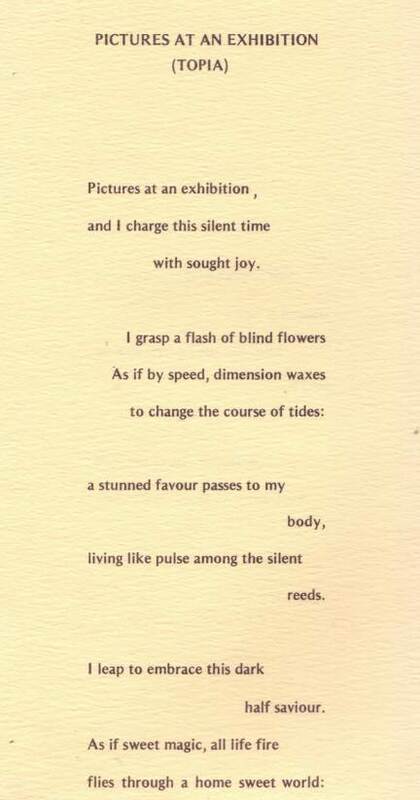 Indeed it was with some excitement I remembering him telling me “ah but I’m not just a painter your see.” The next day I found a copy of his 1979 poetry collection Pictures at an Exhibition (Elizabethan Press, Sydney 1979) on my desk together with an invitation to have lunch and let him know what I thought of it. On another occasions I had shown him a draft of an article I was writing for Island Magazine called ‘Towards a New Diversity: Martin Johnston and the New Australian Poetry’ (http://printedshadows.wordpress.com/2012/02/25/towards-a-new-diversity-martin-johnston-and-the-new-australian-poetry/). This time I received a copy of his 1983 chapbook Wordscapes (which had accompanied an exhibition of his paintings at the Barry Stern Exhibiting Gallery during November 1983). 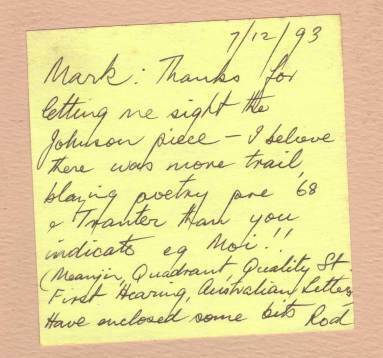 This time there was a yellow post-it note on the front pointing out that he was writing “trail blazing” poetry “pre ’68 and Tranter”! 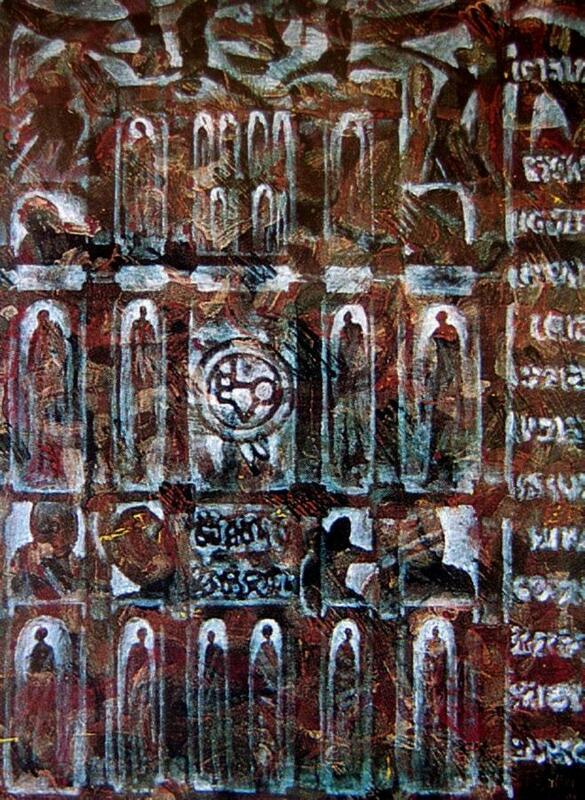 Milgate won the Blake Prize for Religious Art on three occasions (1966, 1975 and 1977) and held numerous solo exhibitions. He wrote a series of plays and scripts starting in 1966 as well as publishing a number of collections of poetry. A memorial will be held for Rod in October. This entry was posted in Issue 12, Obituary, Rod Milgate and tagged Art, Australian Art, Australian poetry, Painting, poetry by Mark Roberts. Bookmark the permalink.